Xiaomi has announced the launch of a new processor which it has developed in house the Surge S1 and the processor is launching in the Xiaomi Mi 5C. The Xiaomi Mi 5C is powered by an octa core 64 bit Surge S1 processor and comes with 3GB of RAM and 64GB of built in storage. Meet Mi 5c – it’s ultra slim, lightweight, and powered by Surge S1, our first-ever in-house designed SoC chipset. It comes with a 5.15″ JDI display and 1.6mm ultra-thin bezels. Having our own chipset means we’re able to now handle backlight optimization at chipset levels — up to 2048 ultra-precise brightness adjustment levels. It also comes with a large 1.25μm pixel size camera sensor which runs on Surge ISP algorithm, which enhances light sensitivity by up to 150%. The Mi 5c also comes with front fingerprint sensor, 9V 2A fast charging, and is only 132g with its ultra-light metal body. The 3GB+64GB version retails for RMB 1,499. Like it? 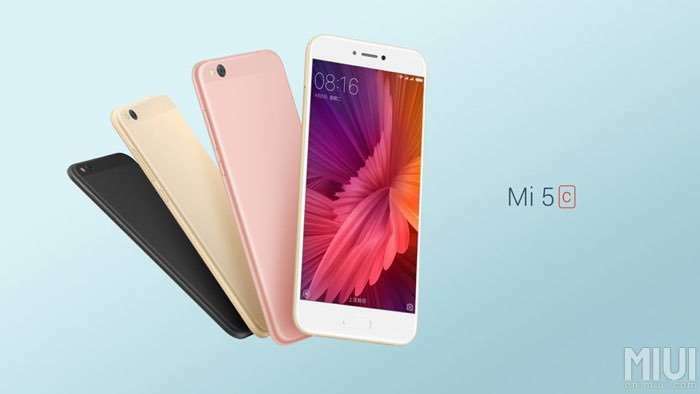 Other specifications on the new Xiaomi Mi 5C include a 5.15 inch display and a 2860 mAh battery, the handset also comes with a 12 megapixel rear camera and a front fingerprint sensor.